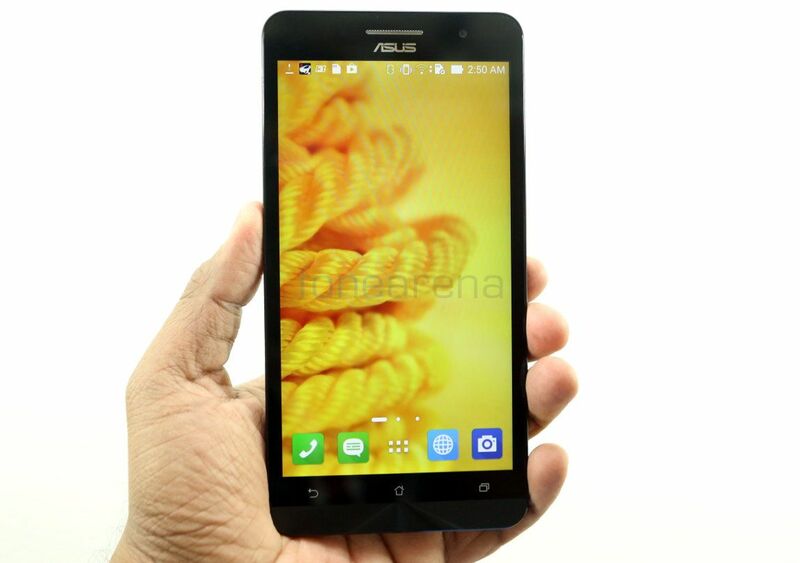 Asus launched the Zenfone series of smartphones in India last month. 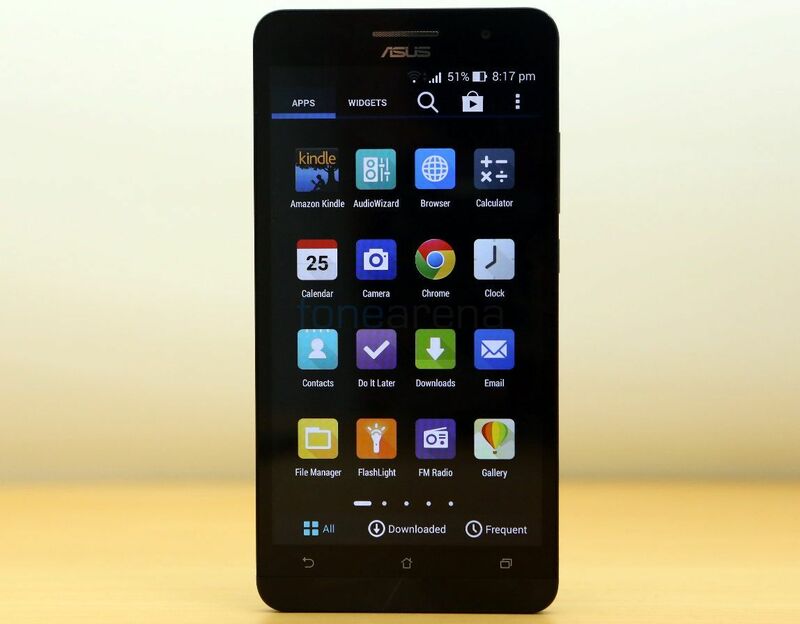 We reviewed the Zenfone 5 recently. 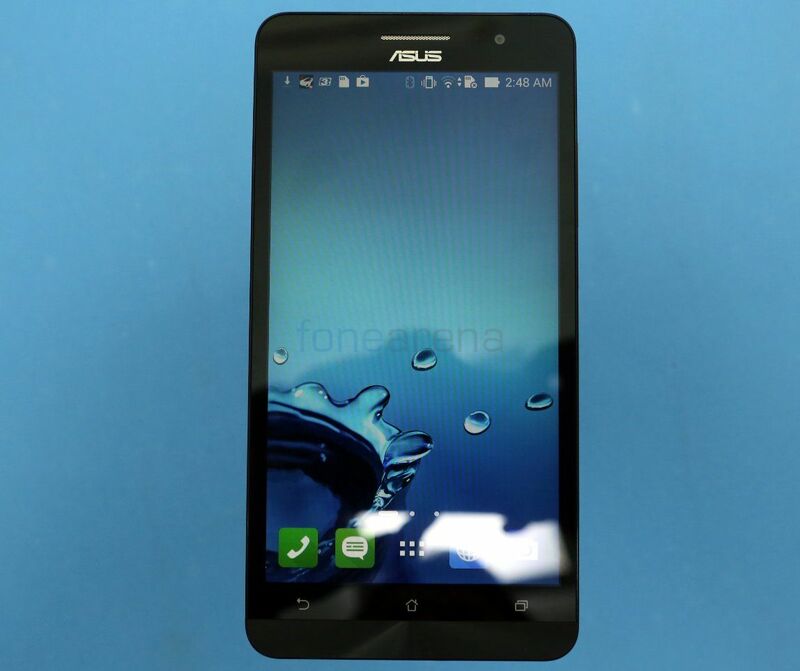 The Zenfone 6, top-end model in the series with a 6-inch HD display is priced at Rs. 16,999. It is one of the few large-screen smartphones in this price range to launch in India recently, apart from smartphones like the Xolo Q2500 PocketPad and Lava Magnum X604 from local manufacturers. Asus has been using Intel Atom processors for its Fonepad tablets, even the Zenfone smartphones are powered by Intel Atom processors. 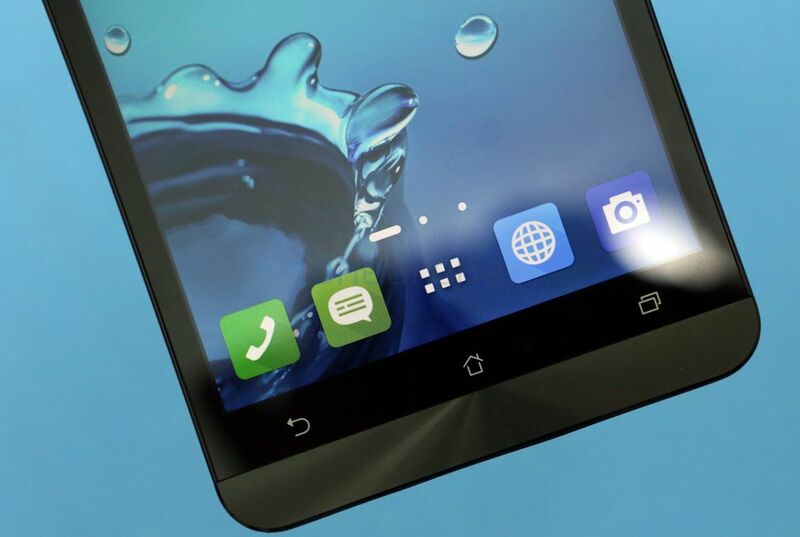 Is the Zenfone 6 one of the best large-screen smartphones in this range? Let us find out in the review. 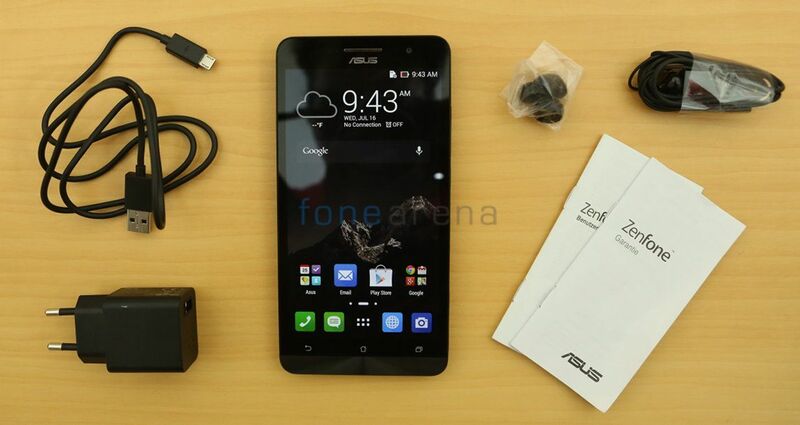 We unboxed the Zenfone 6 recently. Check out the unboxing below. The phone has a huge 6-inch display at a resolution of 1280 by 720 pixels with a pixel density of about 245 ppi. With brightness of 400 nits, the display is bright and the colors are vibrant. Viewing angles are decent indoors, but sunlight legibility is not the best in outdoor conditions since the screen is reflective. It has Corning Gorilla Glass 3 protection as well that prevents the screen from scratches. It has glove mode that increases the touch sensitivity, so that you can use the phone even when you are wearing the gloves. Since the display is glossy, it is prone to fingerprints and smudges. As you can see, the Zenfone 4, 5 and 6 are arranged in order. 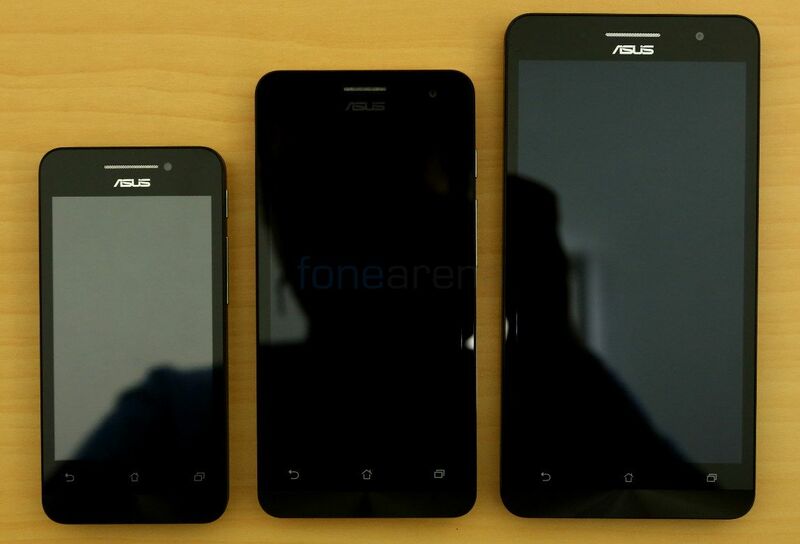 The Zenfone 6 definitely looks huge compared to other two Zenfone smartphones. All these phones have huge bezels around the display. 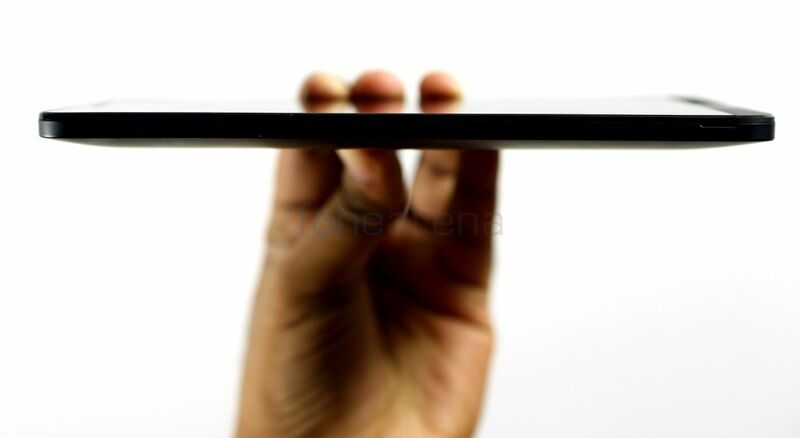 The height and width of the smartphone is 166.9 x 84.3 mm. The phone is taller and wider than the Aqua Octa that we reviewed earlier this year, so it might not fit in your jean pocket. It has the usual set of sensors next to the earpiece. It also has a tiny LED notification light. The is a 2-megapixel camera next to it that can record videos at 720p HD resolution. There are the usual set of capacitive touch buttons below the display. These are not backlit, but you get haptic feedback when you enable “vibrate on touch” option from the sound settings. These buttons might be difficult to reach for users with small hands, since the phone is too wide. There is a small chin with shiny textured finish below these touch buttons. 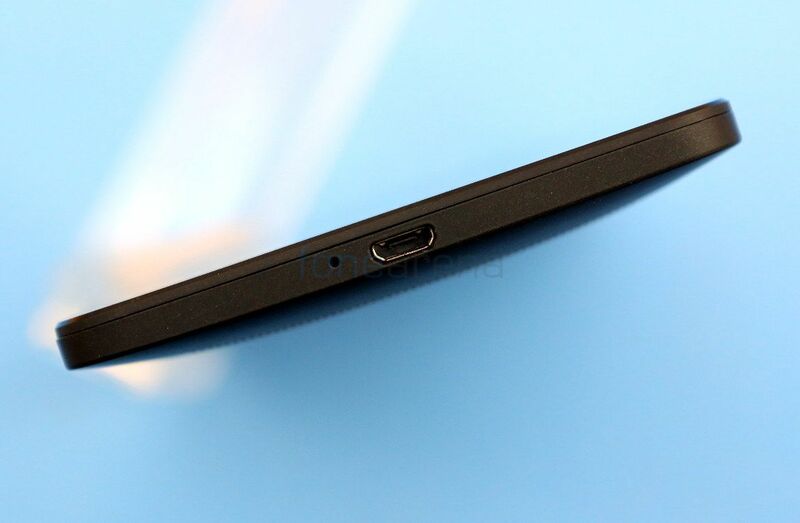 The micro USB slot and the primary microphone hole are present on the bottom. 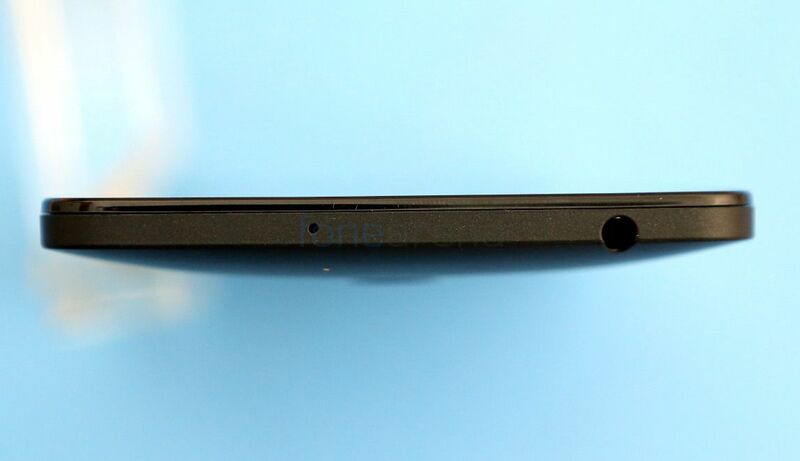 The secondary microphone hole and the 3.5mm audio jack are located on the top. The smartphone is 9.9 mm thick. The smartphone is slightly curved on the back. There are no buttons or slots on the left side of the phone. The plastic back cover has smooth matte finish, but it is not slippery. Since the phone is too wide, it might not comfortable for one-handed usage if you have small hands. The smartphone weighs 196 grams and feels solid in hand, even though has plastic build. The back cover extends to the sides of the phone. Both the power buttons and volume rockers are attached to the back cover. The cover is a bit hard to remove and replace, since it need to lock tightly. The phone has a 13-megapixel rear camera with single LED flash. We will be discussing more about the camera later. There is a large speaker grill bottom part of the back, but the loudspeaker inside is actually small. Once you remove the back cover, you can see the SIM card and microSD card slots. 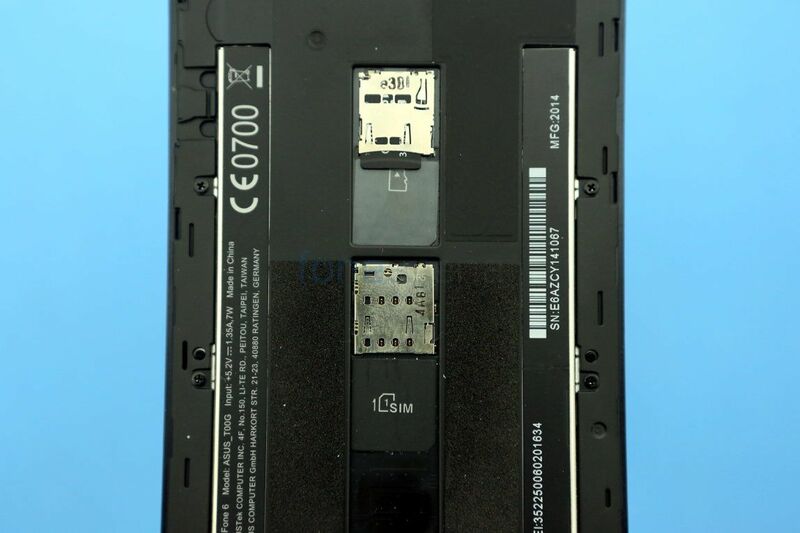 There is a 3300 mAh non-removable battery below these slots. The Indian unit has two SIM card slots, but our review unit is the single SIM variant. The microSD slot accepts cards up to 32GB. Coming to the camera, there is a 13-megapixel rear camera with LED flash, BSI sensor, five-element lenses and f/2.0 aperture. The whole package is called the “pixelmaster” by ASUS. 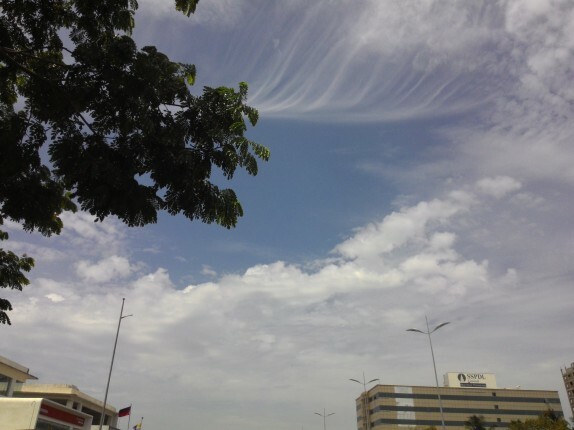 It has several modes such as (Auto, Time rewind, HDR, Panorama, Night, Low light, Selfie, Miniature, Depth of field, Smart remove, All smiles, Beautification and GIF animation). The selfie mode lets you capture selfies using the rear camera by detecting multiple faces easily. Daylight shots are decent and the colors are vibrant, but some details seems to be missing. 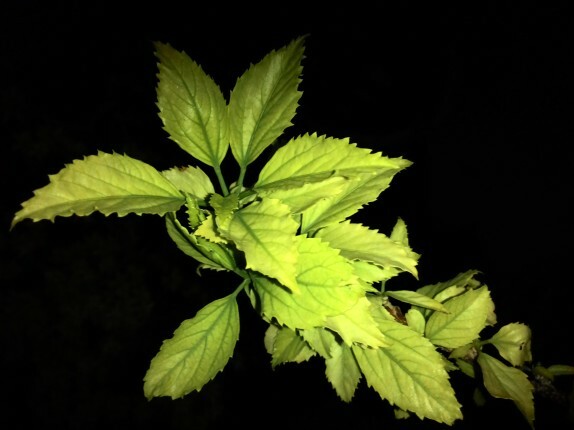 If there is not enough light, images are dull. HDR shots came out pretty good, but it could be better. Depth of field mode blurs out the background if you focus on an object, but if it’s a moving object some parts doesn’t get blurred out, making it look uneven. 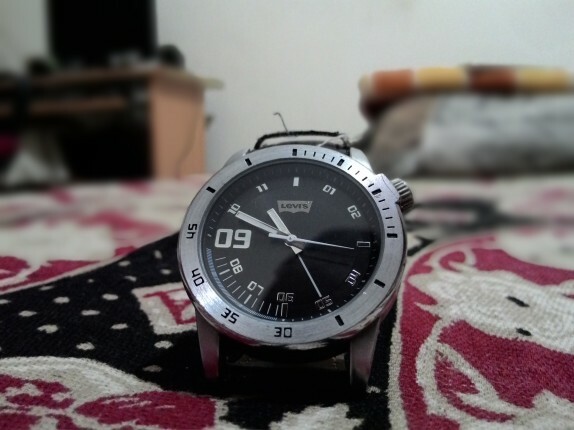 Thanks to the f/2.0 aperture, macro shots came out pretty good. Touch to focus works pretty good in macro shots. 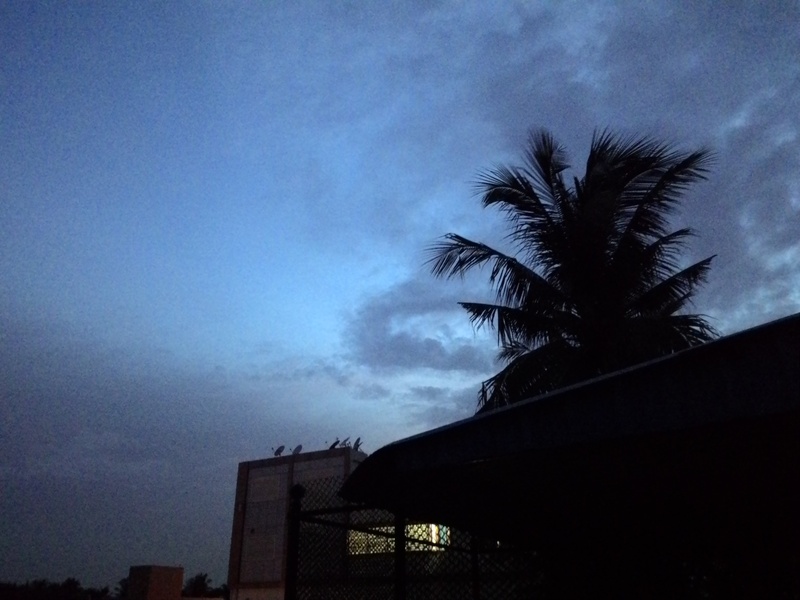 Night mode captures slightly better images in dark by increasing the ISO. 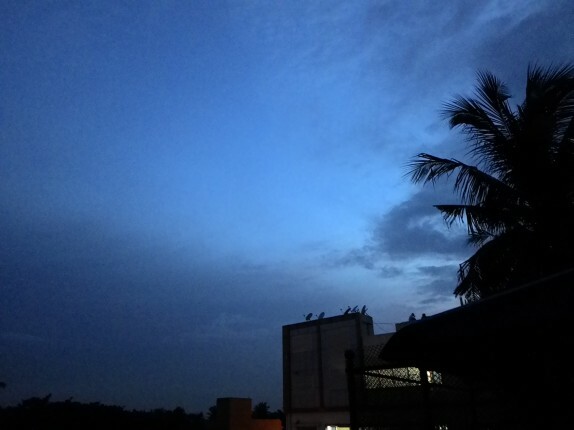 Low light mode uses different image-processing techniques to reduce noise and boosts color contrast, but it reduces the image size to 3-megapixel. Still low light shots have noise. Flash is not overpowering. Sometime this becomes a disadvantage since it doesn’t offer enough light when you need. Overall it’s a decent camera, but not the best. 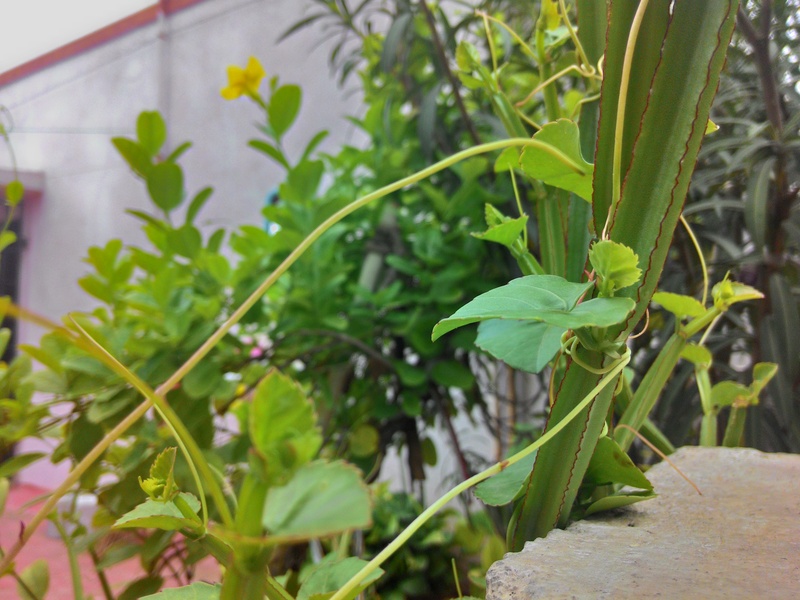 Check out some camera samples below (Click the images to view the full resolution samples). 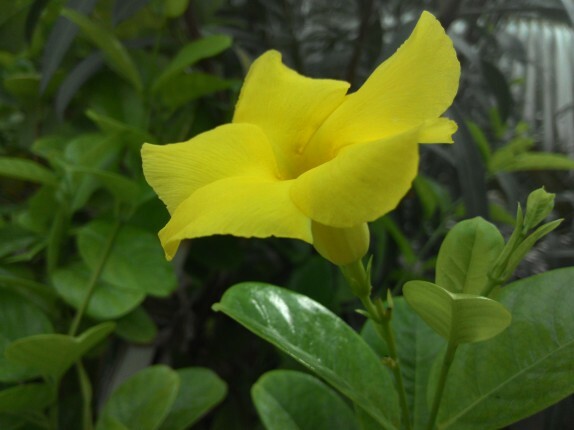 Check out the complete set of Asus Zenfone 6 camera samples here. It can record videos at 1080p full HD resolution. Video quality is above average, compared to images. The secondary microphone offers crisp audio. Check out the full HD video sample below. 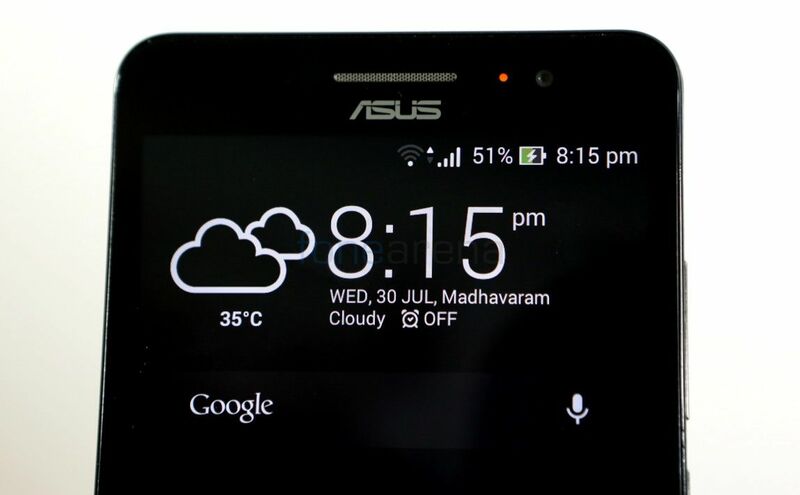 The Asus Zefnone 6 runs on Android 4.3 (Jelly Bean) with new Zen UI on top, similar to other Zenfone smartphones. 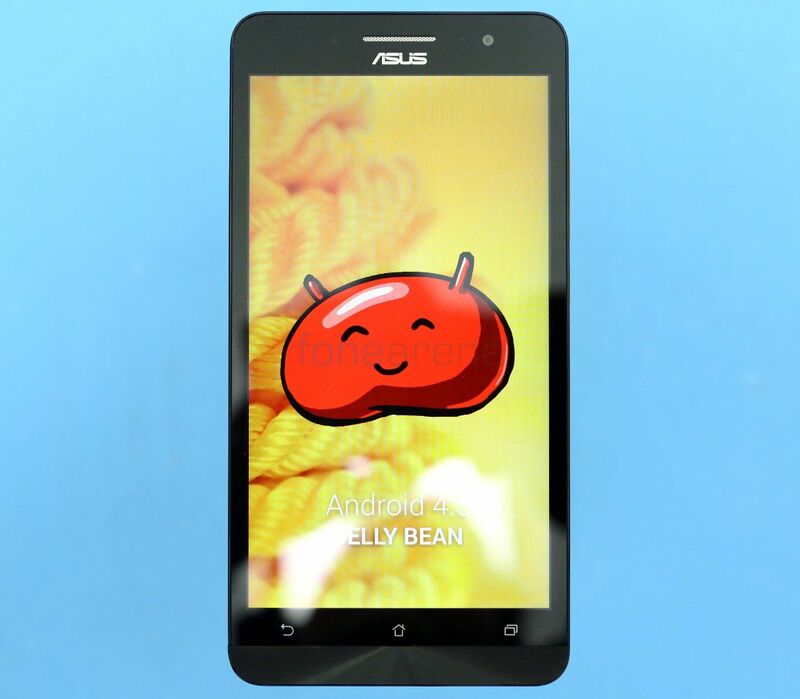 Asus has promised Android 4.4 (KitKat) update for the Zenfone series soon. The Zen UI is completely different compared to UI that we have seen in Padfone smartphones. The Zen UI has a new white with blue color combination throughout, which is simple. 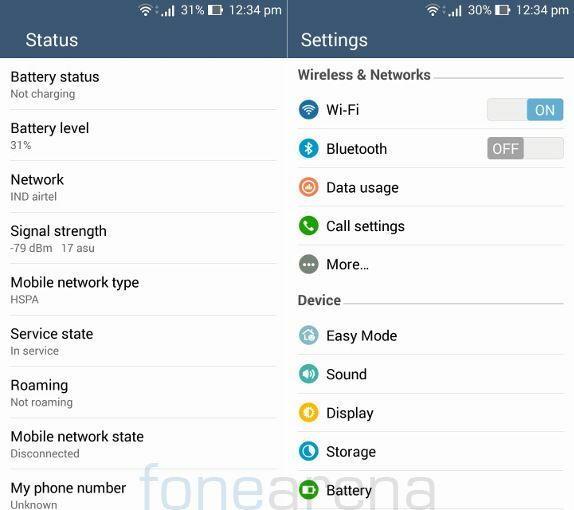 You can add up to 7 homescreens and the customizable quick settings menu has toggles for smart savings, reading mode, One hand operation, WiFi hotspot, Glove mode and Micracast, apart from the usual quick setting toggles. Flashlight, RAM boost, Calculator and Quick memo are the default shortcuts. It has brightness slider on the top with auto brightness option. Lockscreen has Quick access shortcut to launch camera, dialer and messages easily. What’s Next is a new app that also offers lockscreen notification about your next calendar events such as birthdays, weather info and more. The Easy mode is for beginners that offers large icons and simple layout. The One Hand Mode reduces the screen’s size so that you can use the phone in a smaller window in three different sizes – 4.3″, 4.5″ and 4.7″. You can mode the window to the left or right based on your usage. Out of 2GB RAM, about 1.97GB of RAM is usable. About 1GB of RAM is free when apps are running in the background. 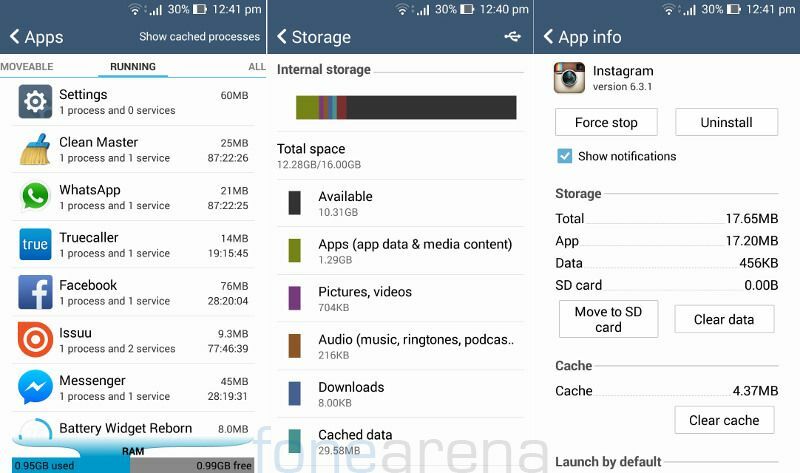 Out of 16GB of internal storage, about 12.28GB is usable. You can also move the apps to the SD card when you insert one. 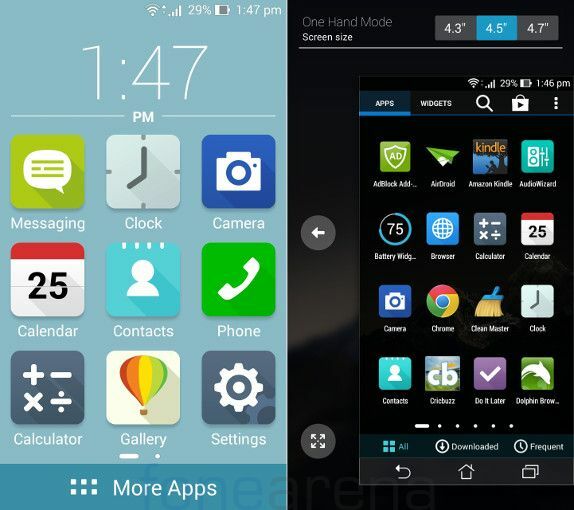 Apart from the usual set of Google apps, the phone comes with a range of apps introduced in the Zen UI. Some of these apps include, Do It Later, a simple task manage that has integration with Call log, Email and Messaging that reminds you about the tasks that’s coming up next. The Zen Link set of apps comprises of Share Link, Party Link, PC Link and Remote Link to make sharing easy. The Share Link app lets you share images, videos or applications easily with other devices nearby. Party Link lets you share photos or a video to a person or a group nearby. Both the Share Link and Party Link use Wi-Fi Direct. PC Link lets you use the phone via PC when it’s connected using USB. Remote Link turns your device into a remote control for your PC that works over Bluetooth. 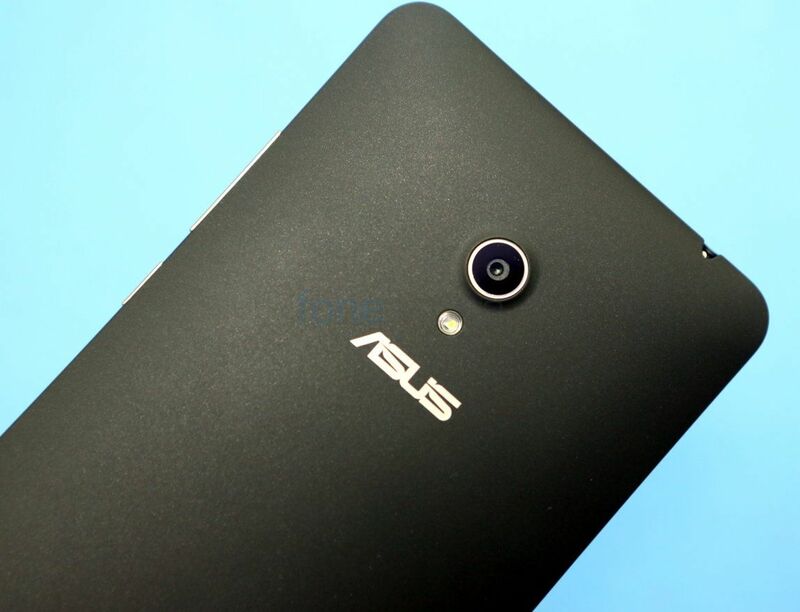 The Zenfone 6 also comes pre-loaded with Amazon Kindle, Omlet Chat and Asus Webstorage app. The music player has new UI. 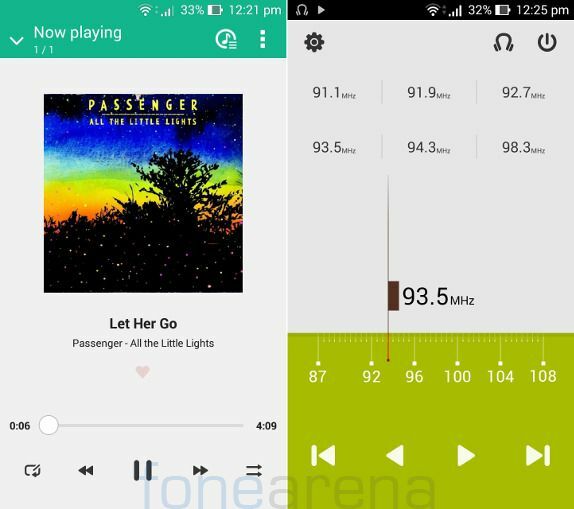 You can use the equalizer when the earphones are connected. It has FM Radio that lets you add up to 6 favourite station, but it doesn’t support RDS or recording. The phone has SonicMaster Audio Technology for a better audio experience. AudioWizard has several audio enhancements such as Power Saving mode, Music Mode, Movie Mode, Recording Mode, Gaming Mode and Speech mode. You can adjust the audio based on your preference. Audio quality is good through the bundled headset, but the loudspeaker output is low even in full volume. The default video player is simple and can play videos at 1080p full HD videos smoothly in different formats. Call quality is not the best in the phone. We did not face any call drops, but sound through the earpiece was not clear every time. It has 3G HSPA+ support up to 42Mbps, WiFi 802.11 b/g/n, Bluetooth 4.0 and GPS. It also has WiFi Direct and Miracast support. It lacks USB OTG support. 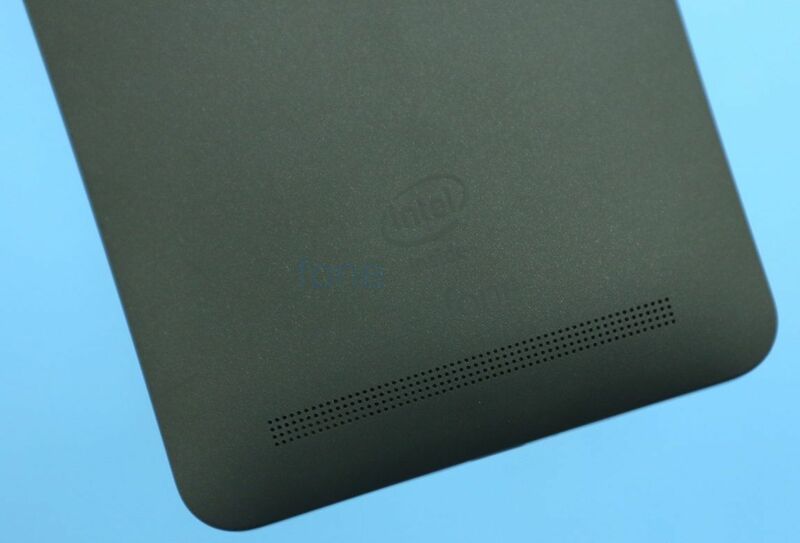 Our review unit is powered by a dual-core Intel Atom Z2580 clocked at 2 GHz with PowerVR SGX 544MP2 GPU. 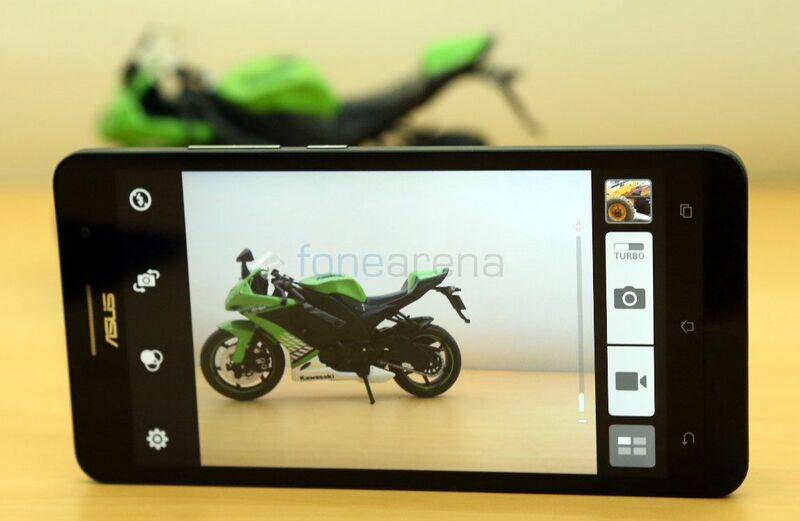 We had already reviewed the Lenovo K900 with the same processor. 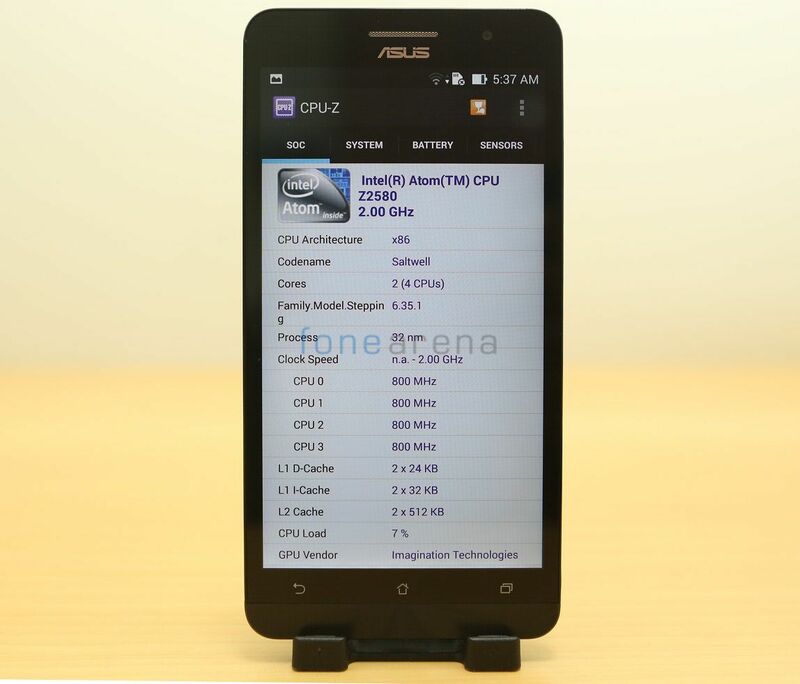 But according to the official Asus India website and Flipkart, the Indian unit is powered by a 1.6 GHz dual-core Intel Atom Z2560 processor. It has two cores and 4 threads (Hyper Threading). The performance is pretty good, but the custom Zen UI is not smooth always and has occasional lags during browsing or gaming. 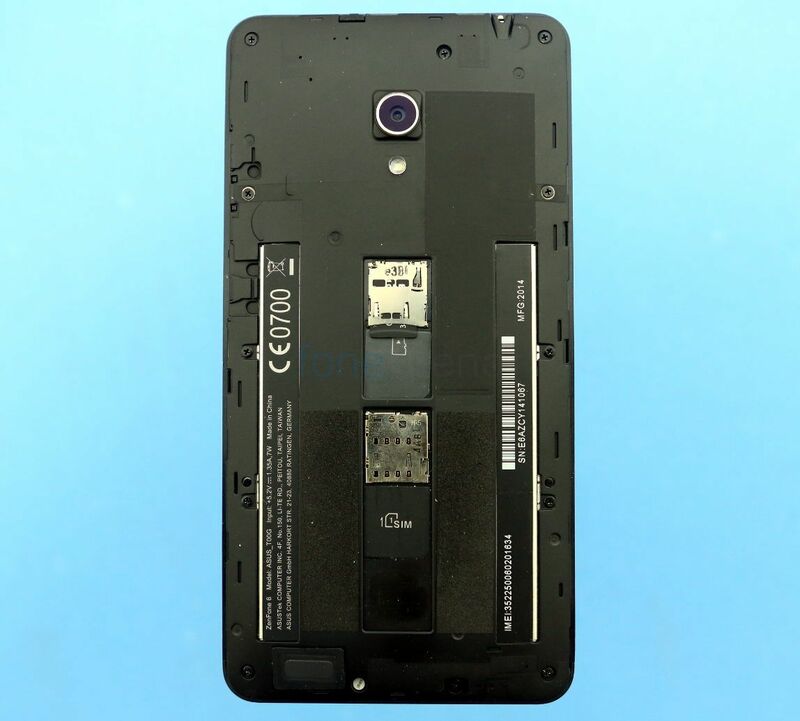 Similar to K900, this smartphone is also affected by overheating when playing intensive games, using the camera for long time or watching videos. 2GB of RAM is more than enough for multitasking without any lags. Check out some synthetic benchmark scores below. It scored 11139 points in Quadrant benchmark. 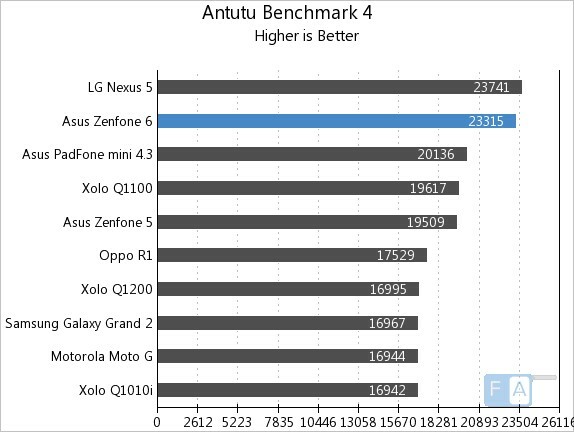 It scored 23315 points in the AnTuTu Benchmark 4. 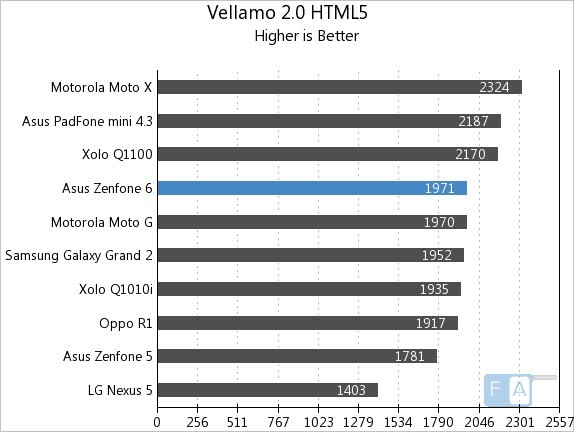 It managed to score 1971 points in the Vellamo 2 HTML5 browser benchmark. 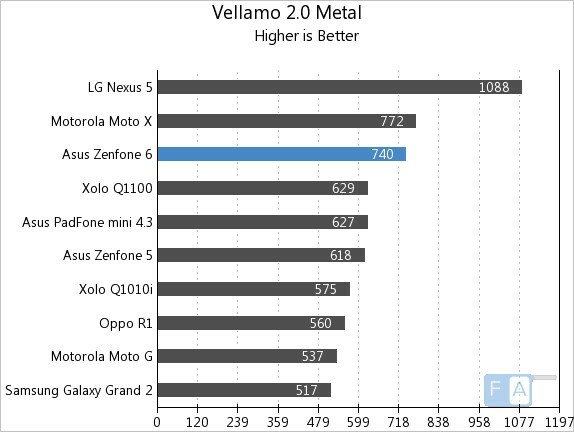 It scored 740 points in Vellamo 2 Metal CPU subsystem performance test. 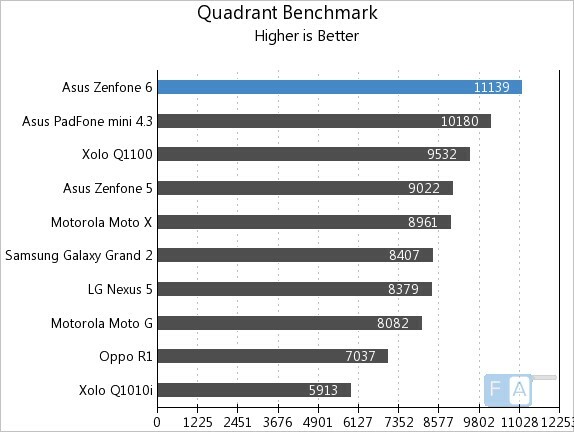 Check out the complete set of Asus Zenfone 6 benchmarks here. Gaming performance was good, but graphics was not the best in some games. We tried several games such as Asphalt 8, Giptide GP2, Real Racing 3, Dead Trigger 2 and Subway Surfers. Check out the gaming review. The phone packs a 3300 mAh battery that offers solid battery life. It lasts for two days with average use on 3G and one whole day with heavy use such as gaming and video playback. The power saver option offers several Smart saving modes such as Customized mode, Optimized mode and Ultra-saving mode. 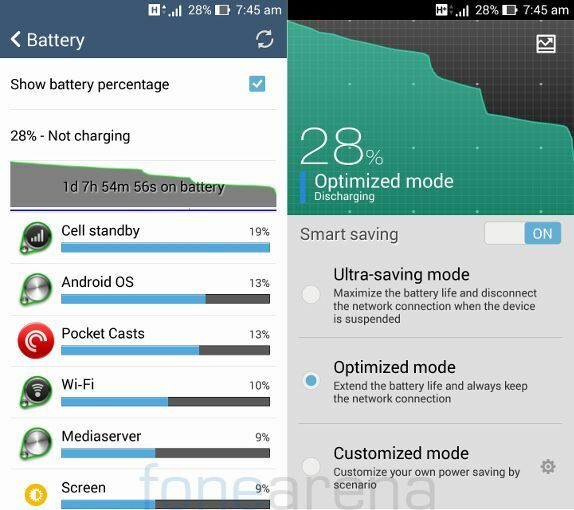 These modes can extend the battery life by limiting the CPU use and turning off several things. At the price tag of Rs. 16,999, the Zenfone 6 is definitely a good phablet in the price range. 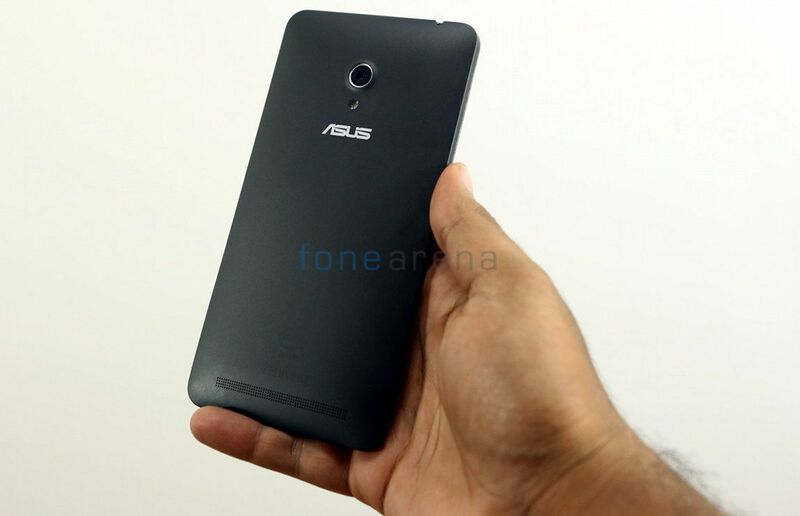 Unlike the Padfone, Asus has got the pricing for the Zenfone series right for the Indian market. 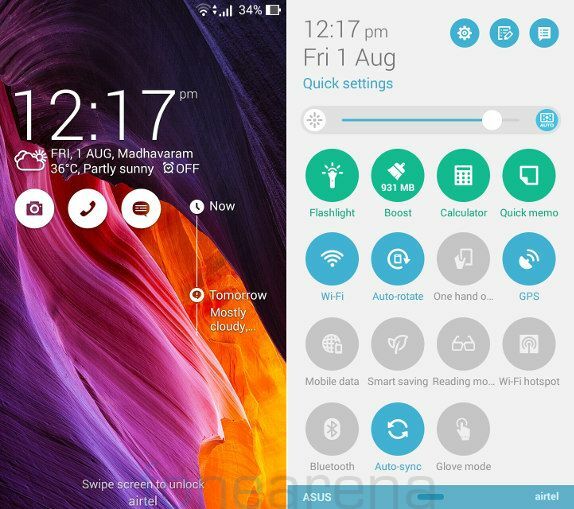 Even though it runs on Android 4.3 (Jelly Bean), the custom Zen UI from Asus is neat and has a lot of new software features. 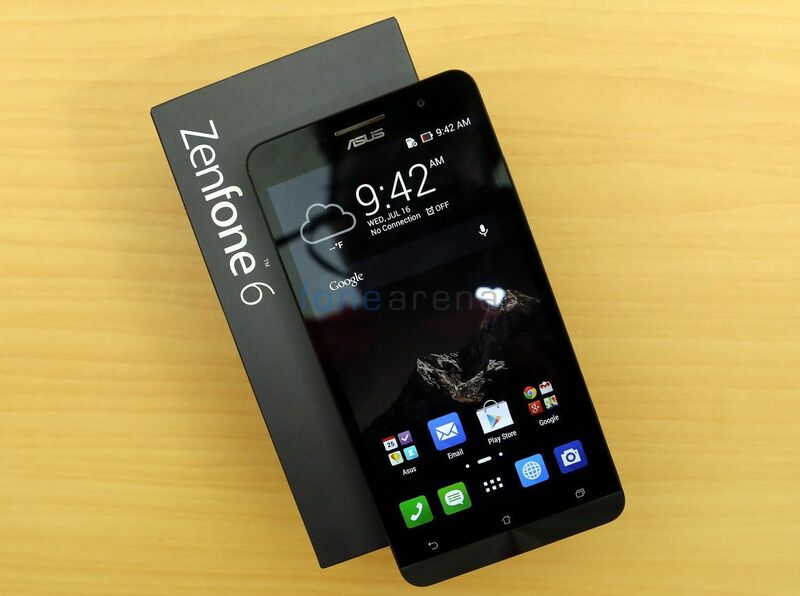 If you are looking for a large-screen smartphone in this price range and can handle this huge smartphone, the Zenfone 6 is definitely a good option.